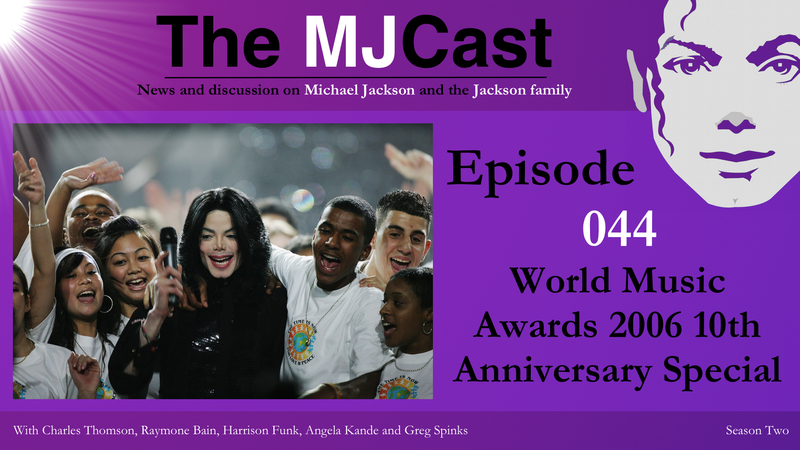 This entry was posted in Specials, The MJCast and tagged Angela Kande, Beyonce, Charles Thomson, Chris Brown, Greg Spinks, Harrison Funk, Michael Jackson, Raymone Bain, The Jacksons, Thriller, We Are The World, World Music Awards, World Music Awards 2006 by Jamon Bull (Admin). Bookmark the permalink. Thank you again for spreading the truth about this man,we need to do it we have too for the sake of the truth. I watch this show many times and I actually like how he looks there and the love he received from the crowd.How is it possible for the media to go so far ones more when all you have to do just watch what happens on the show.But like Michael said the lie becomes the truth if you say it again and again but we should never keep silent if we know the truth no matter what no matter who it is the truth will set us free.Thank again for saying it as it is. 1. Michael came back on stage holding his award ! No way any artist would perform holding their award. I gives me the impression it was an impromptu reaction from MJ.